Treatment at Hillcrest is focused on individualized care for your teenager from our compassionate professionals. Our team at Hillcrest Adolescent Treatment Center (Hillcrest) is comprised of doctoral level medical healthcare professionals, mental healthcare specialists, mental health therapists, and a range of support and activities’ staff. When providing teen treatment, we are blessed to exhibit a strong team of quality personnel, where each member brings stellar experience, education, and proactive care to our Hillcrest home and programs. Our team is dedicated and committed to providing the highest level of care and support for our clients 24/7. 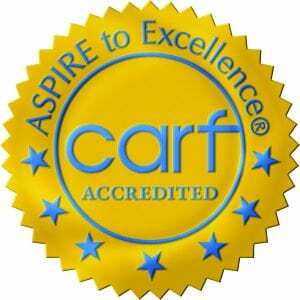 Due to the quality staff on board, our clients are able to establish strong positive rapport with our facilitators, professional medical staff, counselors, therapists, and program directors. These connections help clients heal and progress more quickly, and cement sustained healing for longer periods of time. Clients are comfortable to communicate freely, knowing that our team truly cares for their rehabilitation, and respects the highest levels of confidentiality at all times. At Hillcrest, our teen residential treatment is dynamic, multi-layered, varied and eclectic. In addition to our individualized therapeutic programs designed specifically to suit each client’s condition and temperament, we also provide a range of extracurricular activities and hobbies to ensure healthy and fun outlets for each client depending on their skills and talents. Clients are encouraged to express their thoughts and feelings through daily journaling, and embrace new options, experiences and open-minded views. Clients are also taught responsibility through their work in the organic vegetable garden, feeding the koi fish in the fish pond, and the daily care of their orchid plant gifted to them upon admission. Guest lecturers are invited to attend the facility periodically to share their work experiences with the clients in order to inspire them with ideas for future career paths and professional training. Our individualized approach allows us to provide personal attention and care of the highest of standards. We recognize the unique nature and experience of each of our clients and value the distinct abilities and character traits that your loved ones bring to our program. To that effect, we aim to maximize and strengthen those attributes in a healthy and positive way with our varied programming and extracurricular activities so that each client will flourish while at Hillcrest, and moreover, learn to nurture those characteristics to achieve independence and constructive impactful change upon re-entry and re-integration into the outside world. Family involvement is crucial for our clients’ complete and sustained healing. We have found that families who regularly meet with doctors and counselors, as well as communicate with the healthcare professionals about their family member’s diagnosis, prognosis, and treatment progress, ultimately have greater understanding of the complexities of the particular disorder and its treatment, and are therefore better equipped to support their family member through their healing process and treatment at Hillcrest, but more importantly, through their adaptation back into the real world post treatment. The teenage years can be very lonely and confusing times. These times are particularly difficult if your teen is struggling with a mental health disorder or a drug/alcohol addiction. We therefore encourage all family members to take a committed interest and involvement in the treatment, therapy, progression and general healing process, and overall care of their family member. Hillcrest provides family therapy sessions and multi-family therapy sessions on a regular basis to facilitate healthy family involvement. Our staff is always available to meet with and speak with family members, to address any of your queries or concerns, and generally update you about your family member’s progress. We value complete transparency and integrity of rehabilitation, and therefore urge you to be a partner in this very important and life-changing process. Hillcrest Adolescent Treatment Center (Hillcrest) is as committed to our clients’ aftercare as much as we are committed to their inpatient care while at the Hillcrest facility. Returning to daily life and acclimating to the outside world can be daunting post treatment. We aim to provide tools and support systems in order to preserve the coping skills gained, and improve the progress made during treatment at the facility. For long-lasting results, we feel very strongly about family being involved in the recovery process to help build a sound internal support system that is maintained at all times. We are committed to the ongoing care and recovery of our alumni. Upon discharge, Hillcrest assists with setting up appropriate outpatient facilities. We recommend therapeutic group sessions for ongoing and continuous care. Additionally, going forward, our alumni are always welcome to keep in touch with our on-site therapists, counselors and practitioners even after discharge. We understand that finding the best care for your loved one can be an intense and overwhelming process. However, here at Hillcrest, you are not alone. Our professional staff and mental health experts are available 24/7 to guide and support you on this journey. We trust that together we can create a harmonious process of continued healing and sustained wellness for both you and your loved one. We therefore encourage you and your child to reach out and take advantage of our resources, expertise, and support networks at all stages of your journey. Ady Benyishay is an associate of marriage and family therapist with a Doctor of Psychology (Psy.D.) from Ryokan College, specializing in clinical psychology. Her dissertation focused on narrative therapy and cognitive behavioral therapy (CBT) while dealing with complicated grief. Her private practice experience includes both inpatient and outpatient treatment. Ady finds the mental health field to be extremely rewarding, especially the joy she receives in getting to know her patients and guiding them through their journey to successful recovery. You may be wondering what to expect when you call us at Hillcrest. It’s important to understand what your first conversation may be like. You can be confident that our conversation will be absolutely confidential. You’ll speak with one of our professional staff members who can discuss the concerns that you may have regarding your teenager. We’ll help you to better understand the process and our amazing center. Rey Carungcong majored in Music Therapy with a minor in Psychology at California State University Northridge, and holds a Bachelor’s Degree in Music. Working as a Certified Music Therapist, as well as a Behavioral Therapist with individuals with special needs since 1995, Rey gained extensive experience in the Behavioral and Mental Health Fields. He also obtained certification as a NSSIA Master Level Surf Instructor. Rey has been facilitating Adaptive Skills Surf & Social Skills groups since 1997, and officially opened Shaka Surf Club in 2006. As a co-founder, Rey brings his impeccable educational and clinical background in Psychology, ABA, and Music Therapy to the Club. 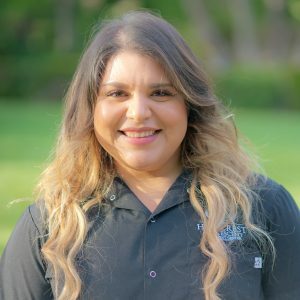 Over the years, Rey developed a unique experiential therapy program in Surf Therapy that utilizes and blends the modalities and theories of Neurophysiology, Kinesiology, Applied Behavioral Analysis, Sensory Integration Theory, Cognitive Development Theory, and Social Development Theory. Kate Maddox is a licensed marriage and family therapist specializing in addiction and co-occurring disorders. 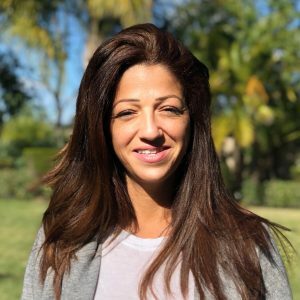 She has worked in a wide variety of clinical settings, including residential treatment centers for drug and alcohol addiction, family counseling centers, private practice, and juvenile facilities throughout Ventura and Los Angeles counties. Kate incorporates cognitive behavioral therapy, dialectical behavior therapy, journaling, mindfulness, and family systems in her therapeutic practice. She graduated from Phillips Graduate University in May 2013 with a master’s degree in psychology, with an emphasis in co-occurring disorders. Kate currently has a private practice in Agoura Hills, Calif., where she works with individuals, couples, and families living with addiction, anxiety, depression, codependency, and other mental health issues. She also facilitates groups at Hillcrest Adolescent Treatment Center in Agoura Hills. 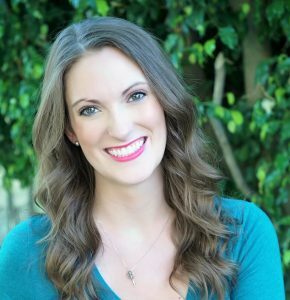 Kate has worked at La Ventana Treatment Centers, Summit Malibu, Neighborhood Counseling Center, and Phillips Graduate University Counseling Center. In addition, Kate has facilitated substance abuse and anger management groups for adolescents in juvenile halls and probation camps through the County of Los Angeles Probation Department. Kate lives in Thousand Oaks, Calif., and has two grown children. She enjoys hiking, bike riding, skiing, and writing. After graduating from the American Academy of Dramatic Arts in 2006, Maureen worked in the entertainment industry while cultivating her love of improvisation at Second City. She quickly realized how incredibly useful improv is for people from all walks of life. While writing and performing gave her great joy, she found that teaching was actually her greatest passion. She is thrilled AdLib LA helps so many diverse groups and individuals reach their full potential. Lindsay has been acting since she learned to talk and she fell in love with comedy when she moved to Los Angeles from the Midwest. She is originally from Chicago where she graduated from Columbia College Chicago with a degree in Theater Performance. After completing the Conservatory Program at Second City Hollywood, she co-created a comedy group called “LA Ugly” that performs improv and sketch comedy around LA. She works for the Women Lawyers Association of Los Angeles and does auto shows for Volkswagen. 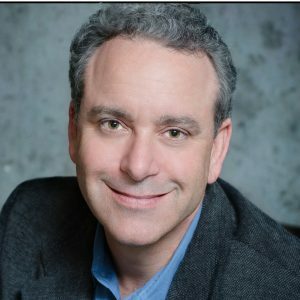 David Schwartz is a Licensed Marriage and Family Therapist and author of two books, Relationship Held Captive: Free Yourself for True Intimacy and, Your Career, Your Rules: Living the Life You Want. He works with adolescents, adults, couples and families in the Los Angeles area. 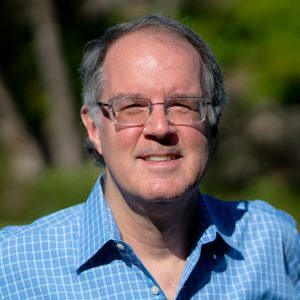 In addition to his therapy practice, David has worked as a professional writer and television producer for over 25 years, including work in the animation industry and advertising projects. Cameron Mooney lives in Los Angeles and serves the greater L.A. and Ventura county areas. After graduating with a B.A. in music therapy from California State University Northridge in 2013 he went on to work in settings serving developmentally disabled adolescents and adults. Over the past 4 years he has continued his work in music therapy in a wide variety of settings, focusing primarily on Drug & Alcohol Rehabilitation, one-on-one work with individuals with Developmental Disabilities, Autism Spectrum Disorder, and Traumatic Brain Injury. 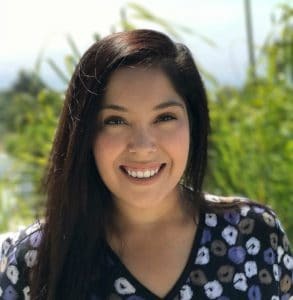 Vanessa Mendoza is our Director of Nursing at Hillcrest Adolescent Treatment Center. She resides the beautiful county of Ventura. She graduated from an accredited nursing program, Career Care Institute in early 2016, obtaining her vocational license that same year. She has been in the health care field since year 2011, and practices good knowledge and understanding in patient care. Vanessa shares great experience having worked with age ranges from young toddlers to adolescents with disorders such as; autism, Adhd/Add, musculoskeletal diseases, terminally ill, and currently at our facility in psychiatry. She enjoys the nursing field very much and pursues on furthering her degree to enter different roles in the health care field. When she is not at work, Vanessa could be seen enjoying her time with her family or at Disneyland. Jade Dearing, MA, is a Marriage and Family Therapist Registered Associate. She received her Masters degree in Clinical Psychology from Pepperdine University. Jade has experience working in the field of both mental health and addiction residential treatment settings with adolescents working in school settings. Jade provides therapeutic services for clients using evidenced-based psychotherapies including Cognitive Behavioral Therapy, Dialectical Behavior Therapy, Family-Systems Therapy and Strengths-Based Therapies for individuals, families and groups. Marc grew up in New York, where he gained his experience working for the NYC Department of Education. After earning his B.S. 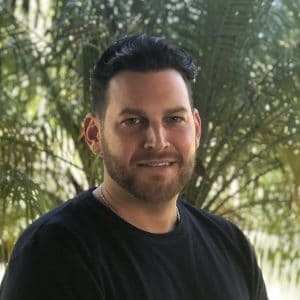 at The University of Tampa, Marc continued to work in the mental health/ substance abuse field, restructuring departments and shifting employees to have more of a team approach. 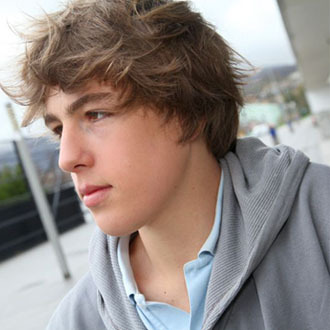 After relocating to Los Angeles, Marc attended California State University, Northridge, where he received his M.A. in High School Counseling. Marc has a unique approach with his team of staff while working with clients going through such hardships. Marc’s goal is to make sure his clients come first. As Marc approaches his 10-year mark in this field, he continues to listen, learn, and teach anything that benefits his clients and staff. Mark Paladini brings 12 years of experience teaching at the university level where he was celebrated for his curriculum design and lesson planning for undergraduate and graduate students. In addition to heading the undergraduate program that he co-created at Regent University, he also developed and ran a highly successful online master’s program for high school teachers. He received his undergraduate degree from the University of Washington in Seattle and is a graduate of the Los Angeles Teaching Fellows Program. Mr. Paladini also served on the recruitment team during his time at the university which gives him a unique advantage to help students prepare for what is needed to get into college. 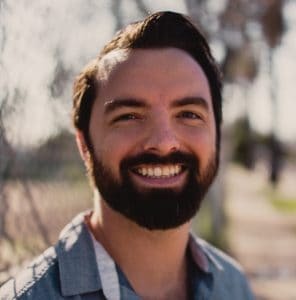 Prior to teaching at the university level, Mr. Paladini taught and developed courses for UCLA Extension, taught middle school English for LAUSD, and mentored students at a National Blue Ribbon Elementary School in Los Angeles. He also has extensive experience in the entertainment industry (Fun Fact: Mark Paladini is an award winning Casting Director!) and brings his theatre skills into the classroom to create an engaging atmosphere where students enjoy the process of learning. 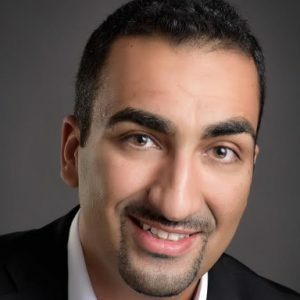 Iman Parhami, MD MPH is a board-certified psychiatrist who completed his child and adolescent psychiatry fellowship at Johns Hopkins University. Dr. Parhami strives to practice a multi-disciplinary approach that is empirically supported, family driven, and culturally sensitive. In addition to being the psychiatrist here, Dr. Parhami attends to his clients at West Valley’s Community Mental Health Clinic, at USC’s University Center for Excellence in Developmental Disabilities (UCEDD) at Children’s Hospital of Los Angeles, and at a private clinic. Furthermore, Dr. Parhami, provides clinical instruction in psychiatry to medical students, psychology interns, and postdoctoral trainees at USC’s UCEDD. Dr. Parhami’s clinical interests include helping adolescents overcome excessive behaviors that can become problematic, such as video gaming, drug use, and gambling. He is also enthused in providing psychiatric evaluations and psychopharmacological treatments for complex ADHD, severe mood disorders, autism related symptoms, mood disorders, aggressive behaviors, depression, and anxiety disorders. Dr. Parhami’s training experience consists of multiple settings highlighted by year-long rotations at the Co-Occurring Disorders in Adolescence Clinic at The Johns Hopkins Hospital and at the Center for Autism and Related Disorders at Kennedy Krieger Institute. During his training, he received multiple national recognition awards, which included a research training grant from the American Academy of Children and Adolescents and National Institute of Drug Use, and other awards from the American Academy of Addiction Psychiatry and American Psychiatric Association. Dr. Parhami has published multiple peer-reviewed scientific journal articles focusing on addictive disorders. Notably, Dr. Parhami completed a postdoctoral research fellowship at UCLA focusing on psychosocial interventions for behavioral addictions and a clinical fellowship at the Psychoanalytic Center of Philadelphia. Dr. Parhami spends his free time with friends and family in the San Fernando Valley, where he grew up. He is also an avid fan of his alma mater’s (USC) football team. Victor J Ramblaz is experienced working with young adolescents in a program setting. As a student of sociology, Victor continues to learn and experience new opportunities and is devoted to creating long-lasting healthy impact for each teenager’s life. Esther Choi has been a Licensed Vocational Nurse (LVN) since 2014. She is currently working towards her A.D. in nursing. We are grateful to have Esther as one of our clinical staff members at Hillcrest. 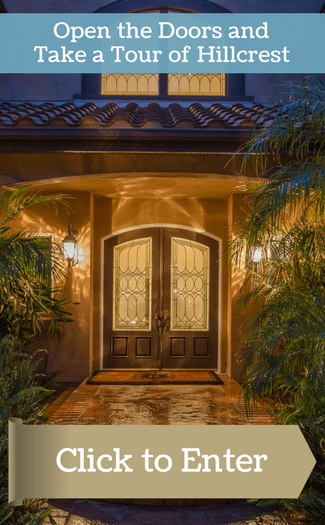 Ericka brings to Hillcrest over 25 years of experience in Business Administration and Office Management in the field of Entertainment, Real Estate and most recently Healthcare. As a seasoned professional, she serves as the Office Manager and strives to positively impact our clients and staff by creating a warm, inviting and seamless environment at Hillcrest. Ericka is a Licensed Realtor and studied Business Law and Psychology at Santa Monica College. Ericka is a native of Southern California, enjoys life at the beach and spending time with her teenage daughters. Hi my name is Roxana Esquivel and I am currently a chef here at Hillcrest. Cooking has been a passion of mine since I could remember. Being in this industry for over 10years has taught me the skills I have today. My Father was an executive chef for about 20 years. His passion and dedication for the kitchen inspired me to become a chef. My family owns an Italian restaurant it was there where I was able to practice and begin my passion. 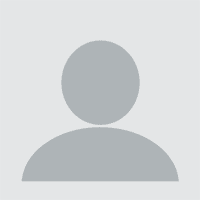 Vallerie E. Coleman is a clinical psychologist and psychoanalyst, practicing for over 25 years. She is the founder and Clinical Director of Stand InBalance and also maintains a private practice in Westlake Village, CA. Certified by both EAGALA and E3A (Equine Experiential Education Association), Vallerie specializes in helping adolescents and adults improve their lives and relationships through an integration of depth psychology and equine assisted psychotherapy. Her work is based on a combination of mindfulness, object relations theory, attachment theory, and sensorimotor psychotherapy. In addition to speaking at conferences and leading workshops, she has been on faculty at Loyola Marymount University, the Newport Psychoanalytic Institute, and Antioch University. Vallerie was a guest expert on the Dr. Phil show and is a contributor in the book: Harnessing the Power of Equine Assisted Counseling. Danny Lobell is a stand-up comedian, podcaster, and talk show host, and is known for his quirky storytelling style. Danny has traveled the world performing comedy shows in South Africa, the United Kingdom, Belgium, France, Spain, and Holland. He has been featured on This American Life and recently presented a TEDx in Phoenix AZ. Danny coordinates the MediaExpressive Group at Hillcrest, where our clients are encouraged to express themselves on a podcast forum in a recording studio. This therapeutic session facilitates a form of non conventional talk therapy, all in a safe environment with our clients using pseudonyms to respect privacy and protect confidentiality. Danny’s passion for his work has proven to be a highly successful healing modality that is aligned with the trend of our times. 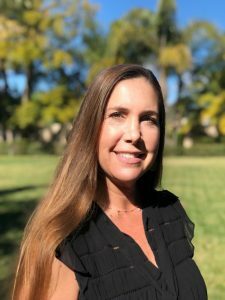 Paola Kemsley is a Licensed Marriage and Family Therapist who has been providing mental health services throughout Ventura County since 1999. As a child she lived through the Nicaraguan Civil War and immigrated to the United States shortly afterwards. It was her early childhood experiences that led her to later pursue a career in psychology and dedicate her life to facilitating the healing process for others. As a bilingual and bicultural clinician, Paola has worked with various populations, including individuals with developmental disabilities, children in foster care and their families, adolescents in alternative school settings, and victims of domestic violence. She utilizes different modalities including CBT, Family Systems, Motivational Interviewing, Psycho-Education, and Person-Centered Therapy, to assist her clients in accomplishing their therapeutic goals. 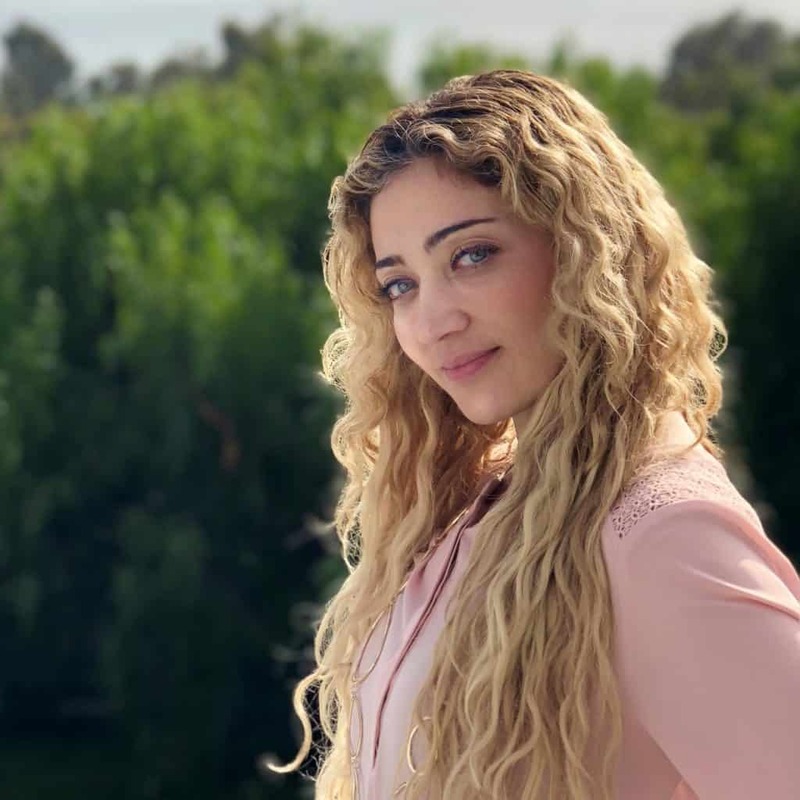 Most recently, Paola has been assessing and diagnosing individuals with severe mental health conditions and co-occurring disorders at Ventura County Behavioral Health. She is also a Clinical Supervisor at Turning Point Foundation and oversees Marriage and Family Interns and Trainees through their process of becoming licensed professionals. Paola is passionate to share her diverse skill-sets and stellar background with our Hillcrest clients. 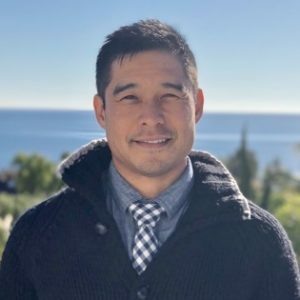 Nathaniel has worked as a professional healer for almost a decade, using the power of breathwork as a catalyst for positive changes in clients’ lives. 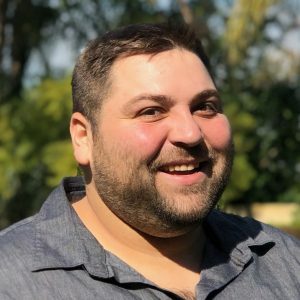 Equipped with an arsenal of techniques – with a special focus on breath – Nathaniel has helped thousands of people process trauma, disarm negative thought patterns, and maintain healthy and happy relationships with themselves and loved ones. Nathaniel’s client base ranges from those seeking relief from everyday anxiety, to those suffering from severe emotional and physical trauma. His specialty includes working in addiction treatment facilities to help accelerate clients’ journeys to recovery. 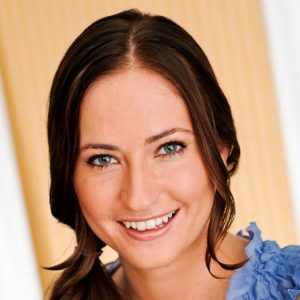 Erin Anguino supportively encourages growth in her clients with a warm and welcoming personality. She moved to California on her own as a young adult, and has become a positive role model for teens striving to establish independence and to develop a stronger sense of self. Erin’s experience and training in working with trauma empowers her to help clients recognize how one’s past may impact the present but does not need to define their future. She has a professional background in play and somatic therapy, allowing her to create an integrative approach with her work. In addition to being a therapist, Erin is a Certified Strength and Conditioning Coach. 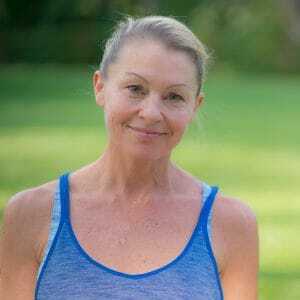 She has worked as a personal trainer and strongly believes in the powerful connection between mind and body. She also has a private practice at Teen Therapy Center in Woodland Hills where she helps teens, young adults, and families live happier and healthier lives. Her ability to seek and provide inspiration brings about a positive outlook for change and courage in navigating difficult times. We are blessed to have her on staff at Hillcrest. Kathy Thompson lived on the East Coast and in the Midwest before arriving in California in 2011. She owns and operates transitional housing for displaced women in two states, Ohio and California. Her educational background includes a Master’s of Science, an MBA, and significant coursework in a Doctorate of Education program. Her passion is working with at-risk populations. She has worked as a Case Manager, Program Assistant, and Counselor for those who struggle with substance abuse and co-occurring medical issues. An avid reader, Kathy shares music and videos to help clients cope and sustain healing. Vanessa Ruiz is a graduate of psychology from CSUN and looks forward to continue to expand in the field. She is currently employed by United Imaging as an accounts payable specialist and is assisting at Hillcrest. She enjoys working with and among individuals of all ages and cultures, and helping them to heal and productively manage and progress within the myriads of social structures. Elizabeth Morales has always been passionate about working in a helping profession. Every person has a story and that story is sometimes not able to be told due to trauma or hardships wherethe person’s voice is not easily heard. Elizabeth loves to help others feel empowered to tell their story and regain their voice. 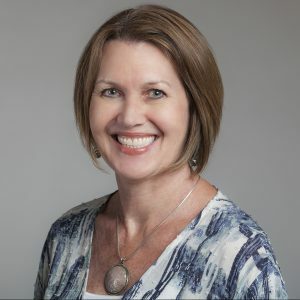 She has worked in various settings in the non-profit sector, including, helping adults with developmental disabilities increase their independent living skills, as well aschildren and families with mental health disabilities, and at-risk adolescents. 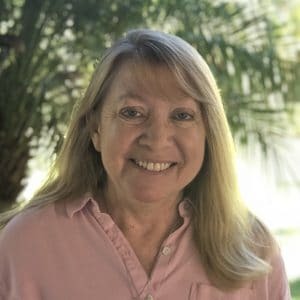 With professional training in Triple Incredible Years, Seeking Safety, and MAP, as well as a major degree in psychology with a minor in criminology from the University of La Verne, Elizabeth is skilled to facilitate sustained healing and progress for our Hillcrest clients. Daniel Hebert is a former college basketball player for Montana Tech of the University of Montana and San Diego Miramar College. Daniel moved on from college basketball and began his coaching and teaching career at Trinity Classical Academy in Valencia, CA. Currently, Daniel is the Varsity Girls Basketball Head Coach, Girls Basketball Program Coordinator and Physical Education teacher at Trinity Classical Academy. Daniel is passionate to work with children within a coaching role and looks forward to further developing this passion at Hillcrest. Laura Hamiter has been an LVN for 30 years. She has worked in numerous positions from Pediatrics to Geriatrics, in supervisory roles for most of her nursing career. Laura enjoys enjoy working with different people to achieve projected goals and brings diverse skill-sets for healing at Hillcrest. Izora Fisher is a Program Assistant at Hillcrest as well as employed at Marks House. She assists youth by helping them acquire the necessary skills to help them remain functional. Izora previously worked as a Family Life Specialist with the Children’s Home of Wyoming Conference in New York, where she mentored youth suffering from trauma. Izora’s background and passion for helping underserved youth has given her the perfect foundation for her current role at Hillcrest. She has earned a degree in Liberal Arts and Human Services from Suny broome Community College. Sebastian Davies is CPR/AED/First-Aid certified, as well as water safety trained. He is knowledgeable in Microsoft Word, Excel, PowerPoint, and has basic Spanish speaking capabilities. As a current college student, Sebastian is always learning and expanding. His varied skils and eclectic work background, ranging from the military to the food industry, make him a wonderful asset to our Hillcrest staff. Dr. Ray Armstrong is an interactive, solution-focused narrative therapist with over 20 years of experience. His therapeutic approach aims to provide support and practical feedback to help clients effectively address family or relationship challenges. 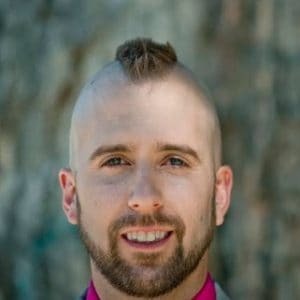 Ray integrates complementary methodologies and techniques to offer a highly personalized approach, tailored to each client. Along with compassion and understanding, Ray works with each individual to help them build on their strengths and attain their maximum personal growth. Ray has special training in working with individuals from diverse walks of life. He received his B.A. from Eastern Washington University, where he majored in Applied Psychology and minored in fine arts. He received his Master’s degree in Clinical Psychology (Marriage and Family Therapy) from Antioch University, Los Angeles, and completed his doctorate level studies at Ryokan University in Los Angeles. In his spare time, Ray enjoys outdoor recreational activities, such as, biking, jet skiing and hiking. Dr. Laura Cavarretta is a licensed psychologist with over 25 years of experience in the mental health field. She previously directed an outpatient clinic and is currently on staff at Hillcrest. Laura received her B.A. in Psychology at the University of Colorado, and her Ph.D. in Clinical Psychology from the Graduate School of Psychology at Fuller Theological Seminary in Pasadena, California. She has a special interest in working with adolescents and their families, and has recently guided her own three children through this challenging and rewarding period of life. Dr. Sonji F. Harold has earned a Doctorate degree in Instructional Leadership, as well as, a Masters degree in Curriculum and Instruction from Nova Southeastern University. In addition, she has earned a Bachelors degree in Middle School Education-Mathematics from Lindenwood University. She is a conscientious professional with over 15 years of experience in proficient, educational leadership. Dr. Harold has a proven track record of successfully working with diverse groups, improving academic achievement, cultivating positive parent/community relationships, providing relentless support, holding students to high levels of personal accountability, implementing standards and performance-based practices while ensuring an impeccable school/ work culture and climate. Her warm personality is infectious, inspires others to do well, and makes her a joy to be around. Lucy is an interactive, solution focused therapist with over 20 years of experience in the mental health field. As a licensed clinical social worker, her work history consists of working with individuals across the age spectrum in both inpatient and outpatient settings. Applying various evidenced based approaches, she encourages family involvement as a major part in the recovery process. A firm believer in systems theory, she sees the family unit as complex and ever changing. Thereby challenging and empowering families to grow and thrive in order to meet demands of the family unit. Specializing in treating adolescents, adults, couples and families struggling with addiction, co-occurring disorders, relationship issues, anxiety and depression. Lucy takes an action oriented, collaborative approach to promote change in both individuals and their families. Along with compassion and understanding, Lucy utilizes the therapeutic relationship to explore the underlying causes of addiction in order to successfully move through pain and trauma to develop healthy coping skills. Along with compassion and understanding, Lucy utilizes the therapeutic relationship to explore the underlying causes of addiction in order to move through pain and trauma while simultaneously developing healthy coping skills.